The Crimean Tatar group of the kindergarten was solemnly opened in Novoaleksiivka, Kherson region, with the participation of the Mejlis representatives. 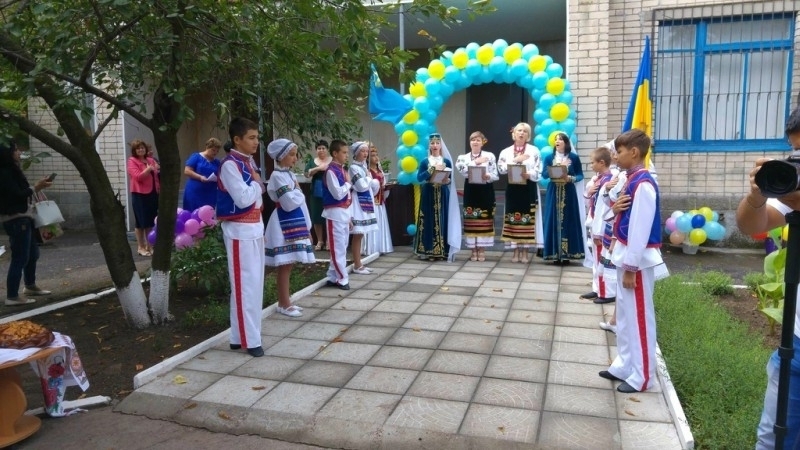 On Saturday, September 2, in the kindergarten # 15 "Ivushka" in Novoaleksiivka, Kherson region, the opening ceremony of the Crimean Tatar group was held. The event was attended by members of the Mejlis of the Crimean Tatar people, in particular, Deputy Head of the Genicheskiy District Administration Gulnara Bekirova, Crimean Tatars from Turkey, representatives of local authorities, educators and parents of the children of the newly formed group. As the hymns of Ukraine and the Crimean Tatar people were performed, the speakers with solemn greetings emphasized that such Crimean Tatar groups are important in terms of preserving the language and culture of the people. Speaking about the basic element of preserving the national identity - the language - the speakers also stressed that children should start studying it at home, and in kindergarten and further improve it at school. After official speeches and thanks to everyone who supported and assisted in the opening of the group, the red ribbon was cut, and then the pupils of the kindergarten gave a small concert, performing Crimean Tatar and Ukrainian national songs and dances. For comfortable and fruitful training of the new group, all the necessary conditions have been created, starting with furniture and toys and finishing with the Crimean Tatar language stands on culture and national symbols. Turkey supports Crimean Tatars from "Kirim Ailesi"